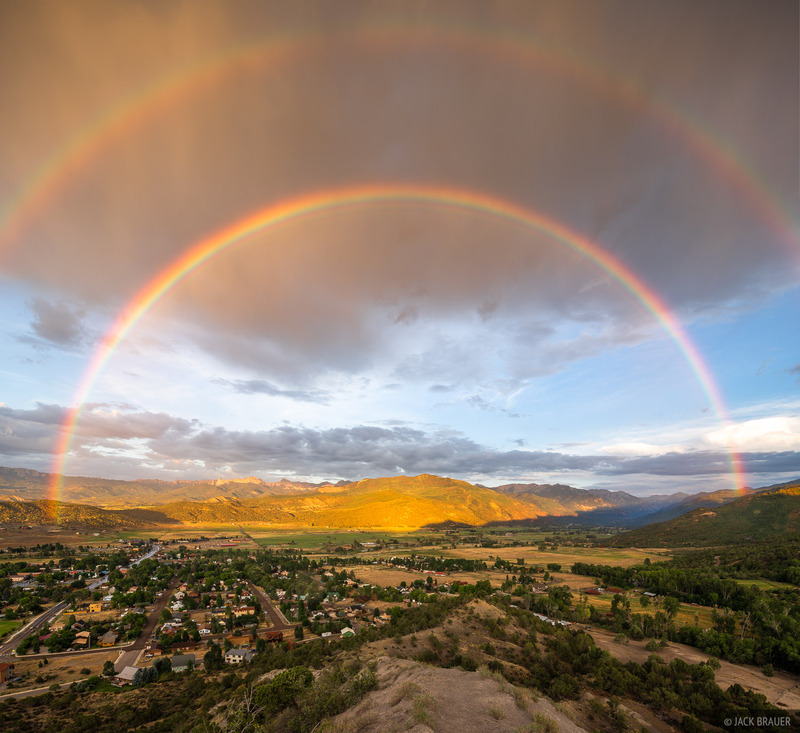 Double rainbow over the town of Ridgway, Colorado. Ouray is up in the valley to the right. Photo © copyright by Jack Brauer.